Enter the exciting world of construction with Meccano! For years, Meccano has introduced curious minds to the thrill of the build! 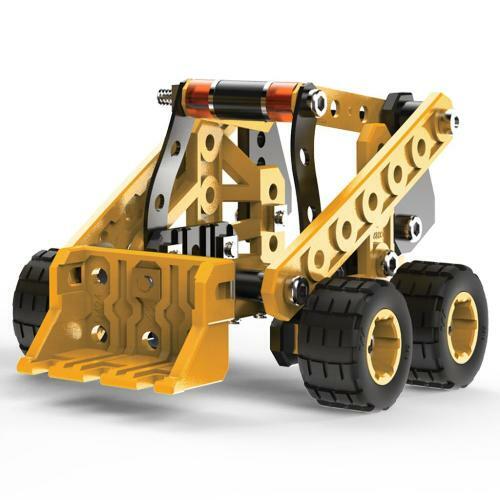 Now, this accessible new set gives young builders the tools and parts needed to assemble a moving Bulldozer! Your child will feel just like an engineer as they work with real metal parts. Set at a beginner level, with easy-to-understand instructions, this kit is a great way to introduce kids to S.T.E.A.M. building kits. As they have fun building, they will use concepts from the areas of science, technology, engineering, art, and math to construct their Bulldozer. When complete, the fun continues as builders use the working wheels, moving front loader and rear scoop for imaginative play! 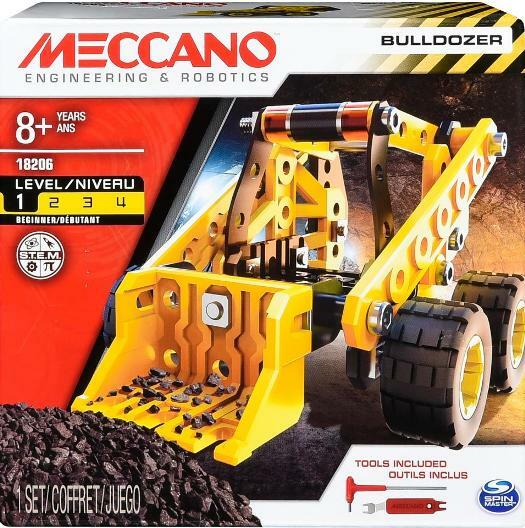 Fun and learning come together in this exciting model Bulldozer building kit from Meccano!